A few weeks ago there was some type of mass loss of internet connection in my area causing quite a havoc of problems. 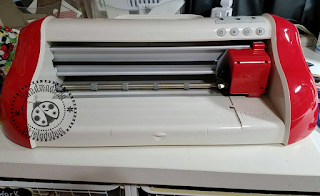 As most of you know the Cricut Explore Air 2 uses the Cricut Design Space software and it is an internet dependent which meant and I was left dead in the water for doing any cutting. Of course I was able to design just fine since I use Make The Cut but no cutting was gonna be happening at my house...or was there? Back I 2014 I purchased a Pazzles Vue and at the time I got the machine I was busy doing a lot of other things and never really used the machine and then I was busy getting ready to move and after I got moved I had been sent the Explore to review so the poor Vue has been housed in my craftroom closet. Since I was able to easily upload the SVG's I designed and cut with the Explore I just never took the time to learn the Vue. I had opened the software a few times and it looked a little overwhelming and I admit I am lazy. I usually stick with what I know and I didn't want to learn a new software. The whole internet dilemma made me panic a little about what would I do if I had a project that needed to be done and I couldn't cut with the Explore so I decided to pull out the Vue and try and figure it out! I felt like saying "DUH ME!" and I probably did say that when I figured out I could easily upload the SVG's I do in MTC in the Pazzles software and cut. When I got ready to cut something I noticed that all the settings were there for me, much like the Explore, I just had to choose the material I was cutting and the pressure and speed was set for me and it gave me a suggested blade depth setting. It also has the ability to save my own settings as well and I did for a few things I cut over the next few days. This is a big improvement over using the Pazzles Inspiration where I had to figure out all my own settings and write them down. 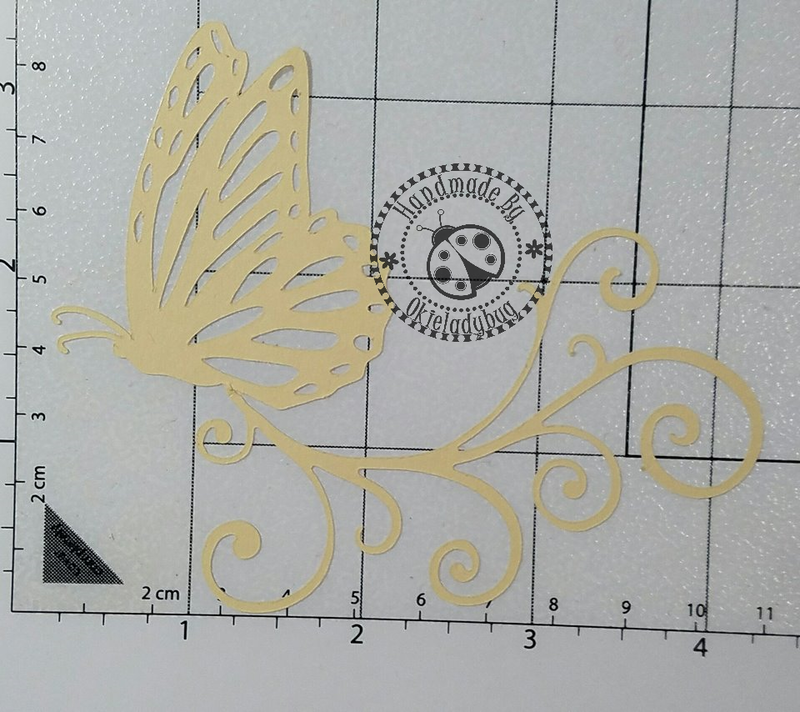 Now I know the Explore machines will cut some very delicate things and will cut them with wonderfully accuracy and I admit I held my breath a little bit when cutting the image of the butterfly. 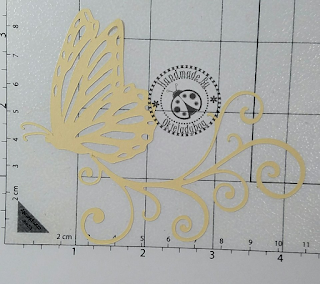 I left it on the mat so you can see how thin some of the lines are and the little ovals in the wings of the butterfly. An accurate description of my feelings when I pulled it out of the machine is probably OVER THE MOON! Now this doesn't mean I am giving up my Explore *okie wonders if she should say that at this very moment the Explore is in the craft closet* but I feel beyond blessed to know I have two machines that cut wonderfully. I haven't used the Pazzles Vue enough to do a pros and cons list of it and the Explore in a side by side comparison but I know a few things I like about each that I will list and even though there are more things about the Explore I like the fact that I don't have to depend on the internet with the Vue is worth every item and more in the list of the Explore. I'll try to keep posting about the two as I use them so I can keep track of what I like and don't like about the two. WOW ... the Vue cut the intricate details beautiful. 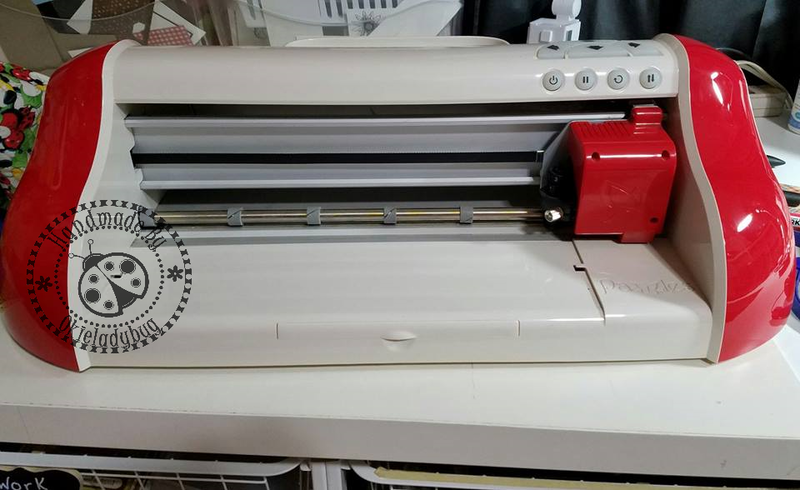 How wonderful to have two cutting machine options. I love your review of the two machines. I wish you also had a Brother Scan n Cut 2 to review that as well, because I would really be curious to see how it compares to the cutting capability of the other machines.